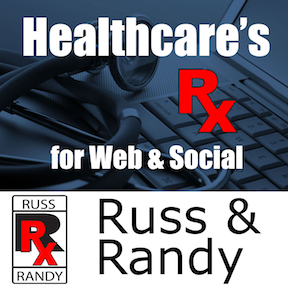 Healthcare and Medical Internet Marketing ... "Healthcare's Prescription for Web & Social." Healthcare digital marketing needs vary and so will our episodes. This podcast augments our content on www.RussandRandy.com. Whether you need help starting a website, developing brand awareness, SEO, reputation-management or starting a Facebook account, Russ and Randy are here to help you. We’ll be publishing episodes of “Tips in 10 with Russ and Randy” regularly to help you understand, develop and implement a marketing strategy of your own. Russell Faust, M.D. is a ENT specialist. Russ loves branding and healthcare marketing. He is CEO and Managing Partner of The Windrivengroup, Inc. Randall Wong, M.D. is a retina specialist turned Internet marketing, SEO and social media nerd and founded Medical Marketing Enterprises. Together we hope to give insight and support healthcare organizations, physicians and medical practices how to brand and Internet Market...successfully and correctly. 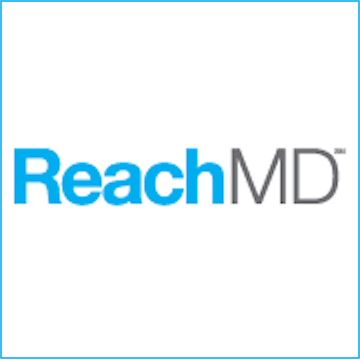 Together, our goal is to support and educate healthcare organizations, physicians and medical practices to successfully, and correctly, connect with their patients (and future patients) through branding and Internet marketing in the digital age. Internet Marketing for Doctors.....by Doctors. Hyperlinks, usually activated by a click, connect you to another webpage or file. Hyperlinks allow you to link quickly and directly to an article of interest or similar resource. Links are usually colored differently and may be underlined. Russ and I define different types of hyperlinks and how they affect SEO. Listen to this episode about using hyperlinks, backlinks and anchor text. Enjoy! Thanks for listening. See you next week! If you have a question or comment, please ask here or on our website. Russ and I talk about the advantages of starting a personal website or landing page if you are in any type of group practice situation. Starting your own website can help you spread your individual brand, market both yourself and the practice and allow you to "stand out" from similar specialists in your group. Best of all, whatever SEO and web rankings you build...move with you should you ever leave! We also talk about why med students, interns, residents and fellow should start their sites now! Choosing a domain name for your website can be a little tricky. There are a few concepts that Russ and I share with you to help get your new website ranking as fast as possible. Consider using keywords, the words your next patient might be using to find you, in your URL is a great start. What goods or services do you provide? Where are you located? Selecting the right domain name can get your SEO off to a great start! Download speed is a huge SEO variable. Here are plugins you can use to make your website faster and improve your SEO and rankings. Content delivery network (CDN) and caching plugins improve your download speed and so do plugins which optimize file size for downloads. Don't worry, you don't have to understand CDN or cache to take advantage of these plugins. Download speed is a huge SEO variable. There is just one SEO plugin we recommend (can you guess?) and so , too for linking your website with Google Analytics. This is our 3rd of 4 episodes on WordPress plugins. Ever wonder why your healthcare website doesn’t rank? Do you get frustrated by the fact that new patients can’t find you or your website? The whole process of “search” begins when we “Google” something. Usually, when we are “Googling” we need an answer to a question or a solution to a problem. Search engines are all similar in that they crawl, read, memorize and index every webpage in cyberspace. Their job is to present a listing of the best webpages most likely to answer your question or solve your problem. Each search engine differs, slightly, in the formula for which they arrive at the “best” webpages to list. Most search engines are similar; however, in that the major factor in comparing websites is the quality of the content of the webpage. The webpage with the best adn most relevant content will generally be ranked highest. 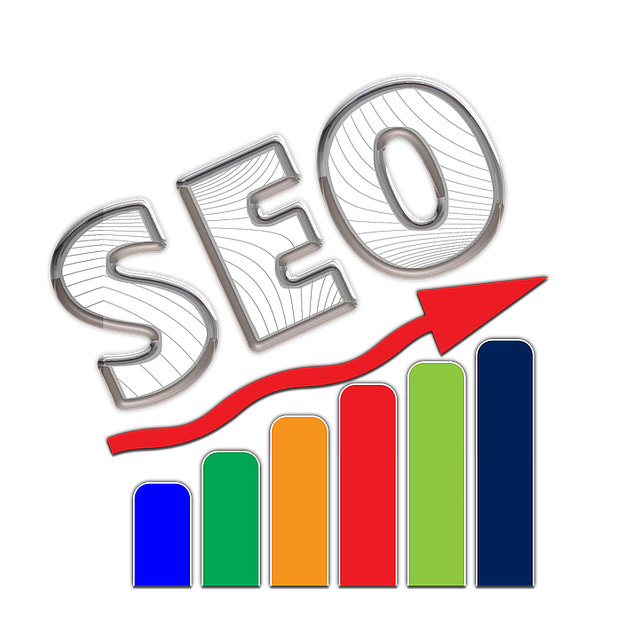 As a website owner, knowing how the search engines will interpret, analyze and rank your webpage is the process of Search Engine Optimization. SEO is a collection of techniques to inform the search engines about yoru webpage. For any website to rank, the practices and techniques of Search Engine Optimization (SEO) must be employed. Fancy graphics and logos may enhance the visual appeal of a site, making it very attractive to the human eye, but these visual items do nothing to boost the rankings of a website. Search engine optimization (SEO) focuses on the content of your website allowing your site to rank better than your competitors...based solely on the quality and relevance of the content of your site. The comparison of one site’s content to another is the basis of the search engine algorithms and the methods which are employed to “tell” Google how and why your content is “better” is the art of optimization. Search engine optimization is the art of getting your webpages to rank and is the first step to turning your website into the most important marketing tool you've ever had to grow your practice and organization. This episode of the Russ & Randy Podcast is a short (3 min) chat that between Russ & Randy on the benefits of using posts or pages for content on your website. A modern website must have the ability to easily add content, have customized design and be mobile responsive. Both a blog and website can have fully customized design, that is, you can not distinguish one from the other by its appearance. The content of a website or blog is the key to getting high search engine rankings. A blog, allows you to publish new articles, so-called posts or pages, much easier than a traditional website. 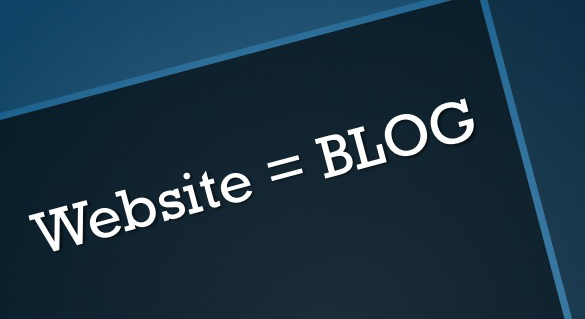 In addition, a blog is coded so that you may better optimize your site. In other words, a blog allows you to practice better SEO than a website. There are very few differences between a post and a page. From an SEO perspective, they are equal. In general, a "page" contains static information - information which is unlikely to change very much, for example, your privacy statement on your website. A "page" generally is linked somewhere on your home page, usually on the navigation bar. A "post" has more up to date information - an explanation of a new technique or drug recently FDA approved. A "post" usually does not have a link from the Home page. The two are equals with regard to SEO value. For a website or blog to rank, it MUST have regularly published unique content - posts or pages - whatever you want to call it! Each has its advantages. Take a quick listen. And please visit Russ & Randy.com for more how-to details to get your practice found by you prospective patients! If you have questions, comments or would like to add something to our dialogue, please leave here or on our website, www.RussandRandy.com. And please leave a review of this podcast on iTunes - 5-stars, of course! This short episode (less than 3 min) of the Russ & Randy podcast is a chat that Russ & Randy had about the differences between your website and your blog. We also discuss providing an "RSS Feed" of your website for your community: what is an RSS Feed? What benefits does it provide you and your community? And how would you set up the RSS Feed for your website? What's the difference between and "website" and a "blog"? There very few differences between a website and blog. Both can be fully customized with respect to design, that is, both can be made to look any way you would like. You can add content (articles, posts, pages) to both website and blog, but it is much easier to add content on a blog. The biggest difference between a blog and website is that a blog can be ranked easier than a website because a blog is coded (computer programming) for SEO and it's easier to implement the techniques of SEO on a blog. An additional difference between a blog and website is an RSS feed. An RSS feed (Rich Site Summary) allows websites with frequently updated information to syndicate or automatically distribute their content. Blogs inherently come equipped with an RSS feed. Everytime you publish a new article on your site, an RSS feed is sent out to your followers via email to alert them of new content. For a medical practice, this "newsletter" automatically gets sent to your followers/patients who choose to subscribe to your website via email. They never miss a thing! Please visit Russ & Randy.com for more how-to details to get you connected with your prospective patients. And please review this podcast on iTunes - 5-stars, or course! If you have any questions or comments (did we forget to mention something? ), please ask here or on our website, www.RussandRandy.com. Search Engine Optimization (SEO) - is the process and techniques employed to get your website to rank. SEO is the process that gets the information on your website found by your prospective patients. It's that simple. Patients have questions. Search engines (Google, Bing, Yahoo) help patients find answers to these questions. The best webpages with the best and most relevant answers get ranked higher. Getting your webpage to rank high use the techniques and of search engine optimization. Learning the techniques of SEO can be overwhelming and down right confusing. When you "Google That," you are creating a search...a search for an answer. It may be directions, insurance participation or the nearest sub-specialist in your area. No matter what the search, the search engines (Google, Bing, Yahoo) quest to give the right information on your first attempt at a search. The process by which search engines decide which webpage best answers a question or solves a problem is based upon an algorithm unique to each search engine. Search engines want to be right each and every time, hence, the algorithms are ever improving. The search engines, by improving their SEO algorithms are getting better and better at giving us the answer we need. These changes make the Internet more and more objective and legitimate by establishing criteria which reward the best and most relevant webpages to rank highly. And how can you get your website found by prospective patients searching online? Ever hear the phrase "content is king"? It was a carry over from the newspaper days emphasizing that the "content" was the key to success. It is still true in today's digital marketing world. The content of your website, or blog, is the key to high rankings on Google, Bing and Yahoo. No other element is as crucial to good SEO and rankings than the articles, posts and pages on your website. Google matches the CONTENT of your website with the search terms used by your next patient. It's your CONTENT that people will find when searching online for answers to their health related questions. It's the CONTENT of your site which allows your site to outrank your competitors. It's the CONTENT of your website which provides value to your readers and allows you to build a relationship of trust. But what do we write about? As healthcare providers, this is the EASIEST part of creating a digital marketing plan. We have ENDLESS sources of content. We use it everyday. But none of us likes to write articles. And, even if we do enjoy writing, most of us run our of ideas for articles pretty quickly. The easiest source of content is simply the countless answers to questions we give each and everyday in the clinic or office. All you need to do is put them on paper! This podcast episode of Russ & Randy will help you to find ideas for perfect content for your webside: content that you already have, that will answer the questions that your prospective patients are online searching for right now! Be sure to visit our website, Russ & Randy for more!